When you were convinced in your mind that you had a perfect podium and then check back your post and realise you put Vettel in 2nd. Official results coming later tonight or tomorrow. Unofficially, anyone who picked Hamilton for first won, since I don't think we had a Mercedes 1-2 in the predictions. As this is a delayed results post, these will be pretty low frills. Fortunately, it won't be hard to make them as exciting as the GP was. Almost everyone was taken in by expectations for a strong Ferrari result, and ignored ominous signs from FP2 that this would not be the case. 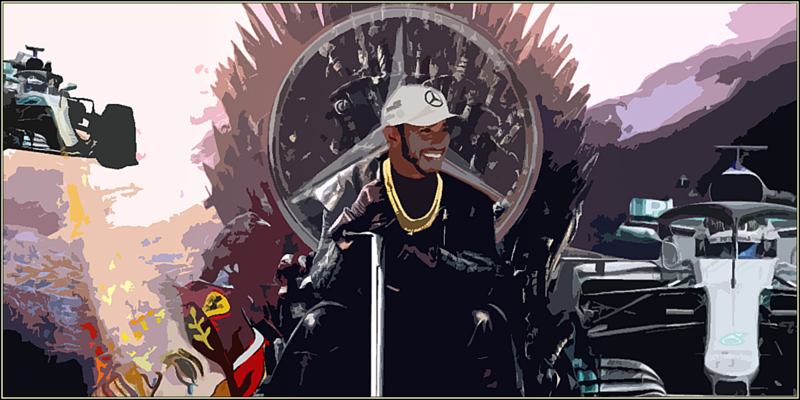 Our three winners all went against the trend, and backed the correct claimant for the throne - Lewis Hamilton! Get in there, coulthards chin, Espo and Charles LeBrad. Having not started a single GP this year, jzusy has been declassified from the championship. With a second consecutive win, Charles LeBrad has done what Charles Leclerc could not, and has assumed the lead of the championship in commanding fashion, five whole points clear of anyone else. Rookie team Victorious Secret takes the lead in the teams' championship on the strength of their lead scorer, who is also the individual championship leader. Next race will be Baku - historically a poor Hamilton track, and also another opportunity for Ferrari to finally reassert their missing preseason form. How many will be bold enough to bet against #44 this time? Apologies to my teammate, I completely forgot all my prediction games this weekend, only remembered as I woke up Saturday to watch qualifying. Woohoo! Leading the individual and team titles on debut. Fun fact - nobody who has led this championship after the third round has ever gone on to win the title. So good luck!